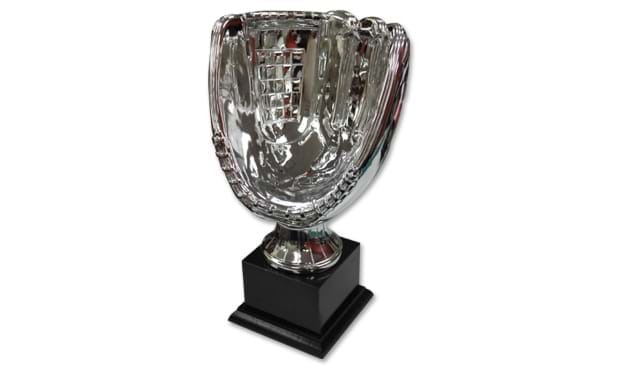 This trophy features a large 11" bright silver baseball glove that is uniquely designed to hold a real baseball in the middle. Comes mounted on a solid black marble base. This award is a great idea for presenting a ball to that special person and to use as a fantasy baseball/fastball trophy. Award measures 15" overall with the base. Plate and inscription are included in the price.